GM-EMD SD9 No. 2341 with SD9 No. 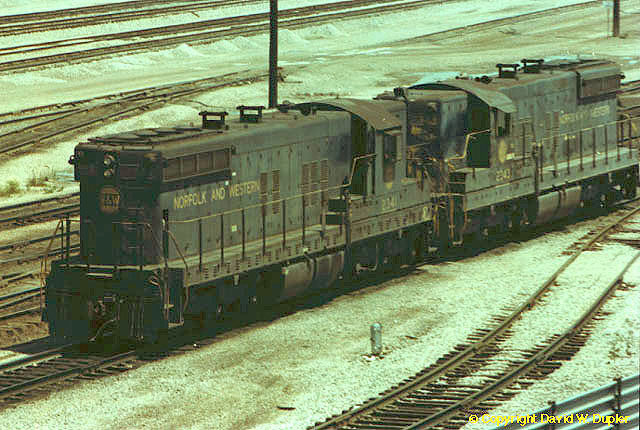 2343, at Bellevue OH., July 1976.